Search engine optimization (SEO) is the process of improving the volume or quality of traffic to your web site from search engines via organic search results. Today, there were millions of searches performed by online users looking for services that you provide. 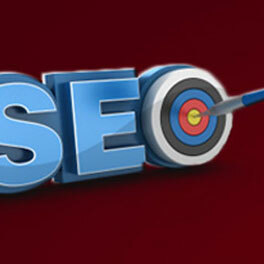 By optimizing your web pages’ content, you can place your website near the top of a search result. When users are not willing to remember your domain name no matter how easy it is to remember or spell, they will use a search engine to find you. Search engines are responsible for the majority of Internet traffic. Could you use some of this free traffic? We could help optimize your website so that your customers can find you faster on popular search engines like Google, Yahoo, and Bing. Social media marketing is a term that describes the act of using social networks such as Facebook, online communities, blogs, wikis or any other collaborative Internet form of media for marketing, sales, public relations and customer service. The most popular social media marketing tools include Twitter, blogs, LinkedIn, Facebook and YouTube. Affiliate Marketing is an Internet-based marketing practice in which a business rewards one or more affiliates for each visitor or customer brought about by the affiliate’s marketing efforts. This is useful for performance-based marketing. AdWords is Google’s flagship advertising product which offers pay-per-click (PPC) advertising, and site-targeted advertising for both text and banner ads. An effective marketing strategy includes a long term commitment to using a combination of these marketing practices. Talk to us to customize your own online marketing strategy. We treat you like you are our only customer. You can count on us to finish the job. By managing your expectations, we are able to get the job done right, on time, and on budget. But don’t take our word for it. Read about what some of our clients have to say about their experience with our web design services.